China reported another four cases of African Swine Fever. The trade website Meating Place Dot Com says that brings the total number of cases to 13 since the virus was first found in the country last month. The United Nations’ Food and Agriculture Organization called a three-day emergency meeting of experts to propose responses to halt the spread of the virus throughout Asia. The FAO calls the virus a significant threat that could decimate the swine population throughout the region. China has culled 40,000 pigs since the outbreak began. Eight of the new cases in China have appeared over the past week, increasing concerns about the rising speed of the infection. 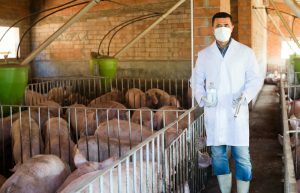 The Swine Health Information Center reported on September 3rd that the virus has spread to Romania and Bulgaria. The report says both countries are struggling to contain the spread of the virus. The ASF virus was also identified by South Korea in pork products transported out of China.